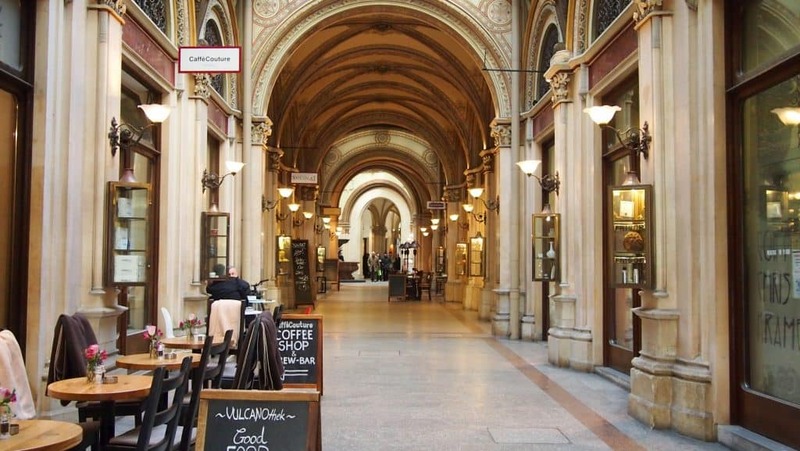 Popular throughout Austria, Germany, the Czech Republic, Poland, Slovakia and Hungary, these cookies are a popular favorite, especially at Christmastime, though enjoyed year-round and found in virtually every Viennese coffee house. Growing up in Germany, we made these every year at Christmas along with several other traditional German Christmas goodies. Christmas without Vanillekipferl is practically unthinkable! Vanillekipferl owe their melt-in-your-mouth texture to the high butter content and absence of egg. They’re a shortbread cookie made with the addition of nuts and a generous dusting of vanilla sugar, which you can either buy ready made or easily make it yourself (see further below). 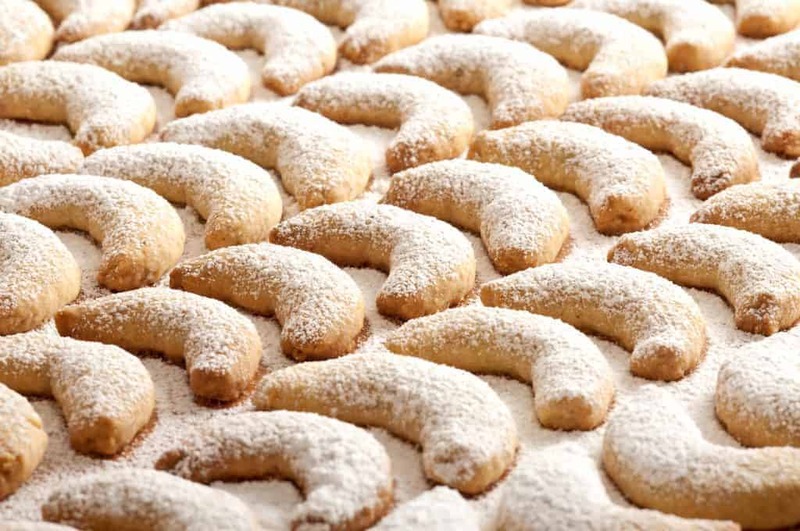 Though popular throughout much of Europe, Vanillekipferl originated in Vienna, Austria around 400 years ago when, in celebration of a victory over the Ottoman Turks, the locals created this pastry in the shape of the crescent moon (“kipferl”) found on the Turkish banner. Traditionally Vanillekipferl are made with ground walnuts which result in a moister texture, but ground almonds or hazelnuts can also be used. Ground blanched almonds will result in a light-colored cookie whereas walnuts and hazelnuts will result in a darker, speckled cookie. They’re all delicious – choose according to your preference! As already mentioned, these are shortbread cookies and though you’ll find some recipes that call for eggs, eggs are not traditionally included. Though adding an egg will make the dough easier to work with (softer and more pliable), resist the temptation to do so because you’ll find that working through the drier, flakier shortbread dough is more than worth it in the end in order to experience that heavenly Vanillekipferl melting in your mouth! Place all of the ingredients in a large bowl and knead until thoroughly combined. The dough will be fairly dry and flaky. Shape the dough into a log and wrap with plastic wrap. Chill in the refrigerator for at least an hour. 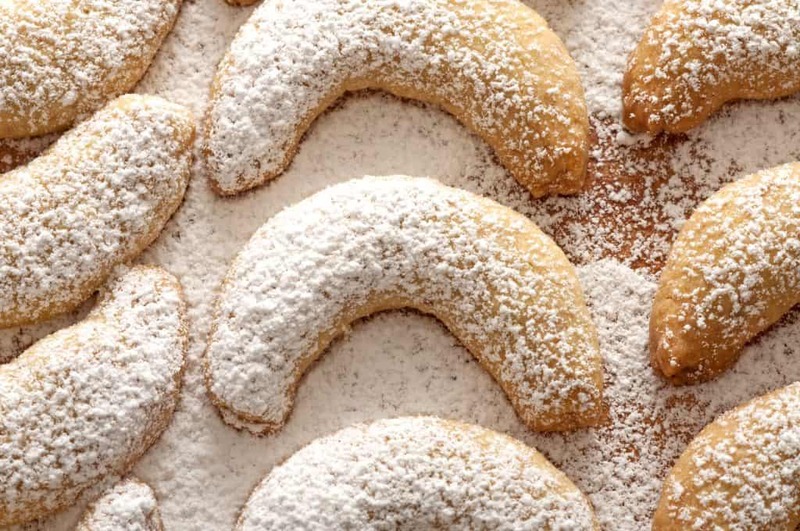 Cut off pieces of the dough to shape them into crescents. It’s usually easiest to shape them into crescents on the cookie sheet. Place them a non-stick or parchment-lined cookie sheet. Bake on the middle rack for 12-15 minutes (depending on the size of the crescents) or until the edges begin to turn golden. Let the cookies sit for one minute and then use a sifter to dust them with the vanilla-powdered sugar while they’re still hot. Let the cookies cool completely and then give them a second dusting. You can buy Vanilla Sugar HERE. HOW TO MAKE YOUR OWN VANILLA SUGAR: Simply place vanilla beans in a container or ziploc bag of white granulated sugar. Seal shut and let it sit a few weeks, shaking occasionally. Discard the vanilla beans – your vanilla sugar is ready to use! How many vanilla beans you use depends on how strong you want the flavor and how much sugar you’re making. I make my own homemade vanilla extract and use those beans to make sugar – it’s a great way to make double use of the beans (I explain it further in the vanilla extract post). Stored in an airtight container in a cool place, these cookies will keep for several weeks. Popular throughout Europe, these shortbread cookies are of Austrian origin and their vanilla-infused flavor and melt-in-your-mouth texture are sure to win you over! Place all of the ingredients in a large bowl and knead until thoroughly combined. The dough will be fairly dry and flaky. Shape the dough into a log and wrap with plastic wrap. Chill in the refrigerator for at least an hour. 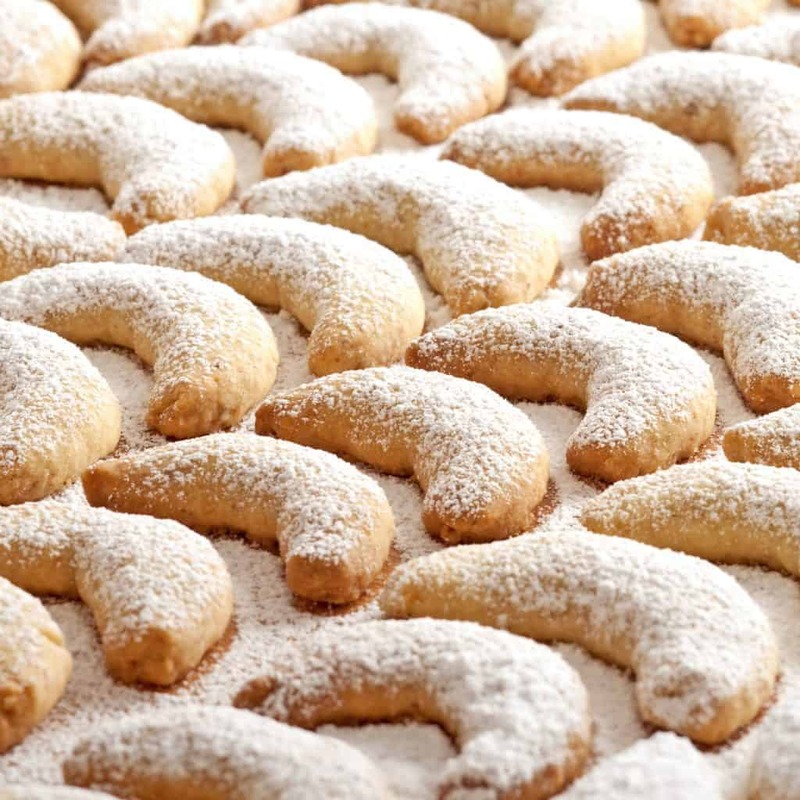 Cut off small pieces of the dough and shape them into crescents. Place the crescents onto a non-stick or parchment-lined cookie sheet. Bake on the middle rack for 12-15 minutes (depending on the size of the crescents) or until the edges begin to turn golden. Combine the powdered sugar and vanilla sugar. Let the cookies sit for one minute and then use a sifter to dust them with the vanilla-powdered sugar while they're still hot. Let the cookies cool completely and then give them a second dusting. I love the fact that these have nuts in them! I’d choose hazelnut, personally. It’s also a great recipe because they can be made ahead of the holidays and stored for gift giving or cookie exchanges! Perfect. Now you’ve made me want to go to Austria besides just baking these cookies! Oh the Christmas markets! Swoon! Thanks, Kimberly for a great recipe! 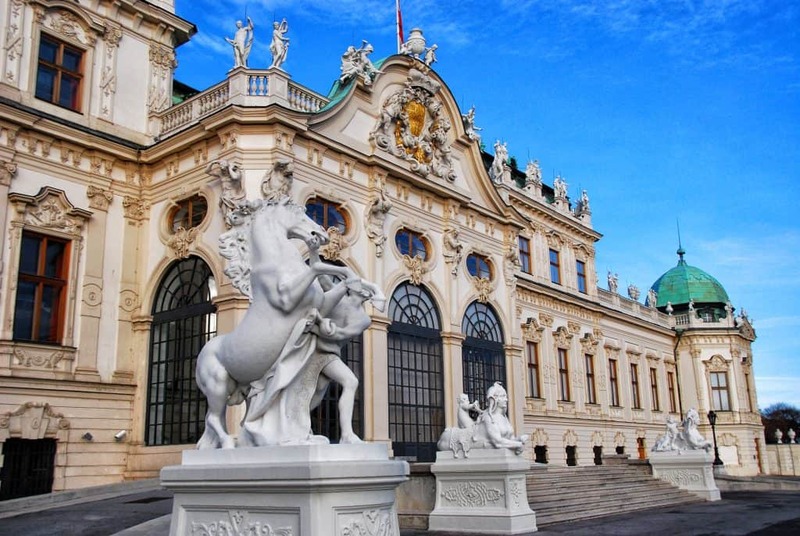 Coming from Austria I can only recommend visiting us!! Love winter time here! These would look so pretty on my cookie trays this year! Such a classic and delicious cookie! Can’t wait to try them! I’ve had these at a bakery, but never knew how to make them. What a great tutorial, thanks! I am in heaven! I want these! These look absolutely amazing. I love crescent cookies. A friend of my daughter’s makes these every holiday season. They are seriously delicious. I love these – your recipe sounds great. But I can’t find the recipe for the homemade vanilla sugar. Guess I can find it elsewhere. Saving. Thanks, River! The instructions for homemade vanilla sugar are at the very bottom of this post about making vanilla extract: https://www.daringgourmet.com/make-best-homemade-vanilla-extract/ Happy baking! These look so delicious, will try making them!!! Being born in Austria and raised in Canada my mother made these at Christmas. They were the real start to the Christmas season. I love a great shortbread cookie! So perfect for Christmas! Well, I thought I was only making 5 of your Christmas cookie recipes this year, but you showed up with a new one! I guess I’m making 6. I got started on the Lebkuchengewürz today and am getting pumped to get all of these started. They were all a hit last year! LOL, Claire! :) Making cookies is one of my favorite parts of the Christmas season. Nothing beats having a big variety box of my favorite cookies and sharing them with loved ones. I’m getting ready to make some Lebkuchengewürz as well. Let the season begin! Dear, dear Kimberly, I grew up having these every single Christmas. My grandmother used to make exactly this kind of cookies and I missed them so very much ! You just made my day ! These look like a perfect addition to any holiday table! I’ve just made my fourth batch of these delicious cookies. Finally, a recipe exactly like my German mother’s! Thank you! Fantastic, I’m thrilled to hear that, thank you! My great-grandmother Schaberg’s recipe is similar but different; our family tradition uses hazelnuts, has less sugar and only granulated, is rolled and cut into halfmoon shapes, and bakes at 275ºF. The finishing touch is to dip the cookies while warm in granulated vanilla sugar. 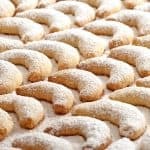 I am looking for a traditional Austrian cookie recipe to take to an event, and yours looks like it will fill the need. I will make it with walnuts. Hi Kimberly! :) Walnuts are traditional yes, but hazelnuts are also used, as are almonds, and any of those choices are great for these cookies. Happy baking! Hi Carol, salt is an important ingredient in both savory and sweet foods because it’s not only a powerful flavor enhancer it’s a flavor balancer. In desserts salt intensifies the body’s ability to taste the sweetness of the sugar, enriches the overall flavor, while simultaneously keeping it from seeming cloying. Without the salt the sweetness takes over and the secondary flavors don’t come through. Salt also serves to strengthen the protein in cookie dough, making cookies chewier. 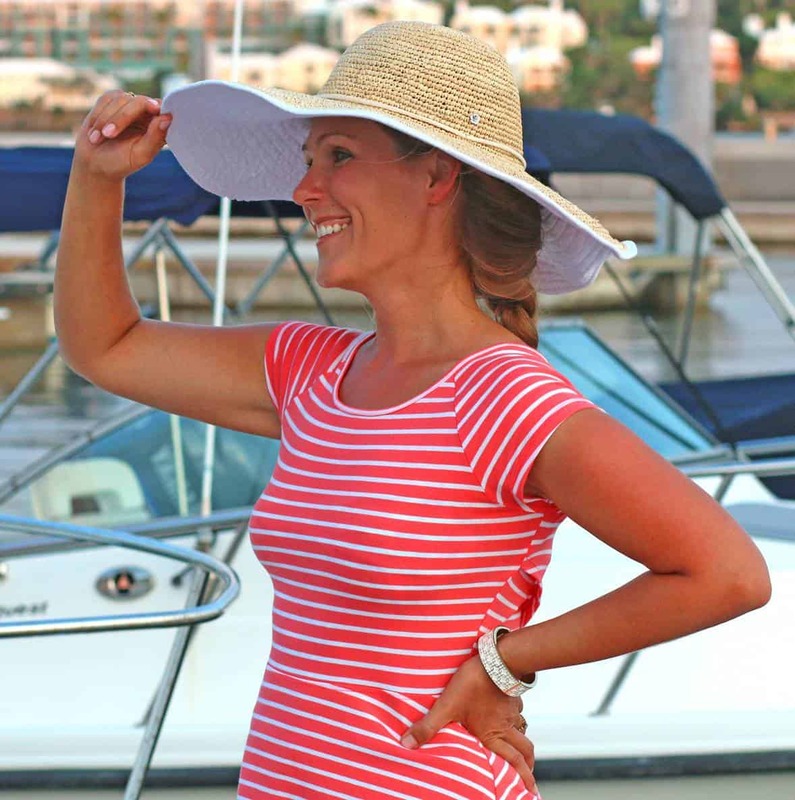 Hi Kimberly, thank you for sharing this recipe! I’m going to try and make it this year for the holidays! I was wondering if these can be made ahead and frozen? Or can the dough be shaped and frozen and then baked later? Thank you! Hi Karen, yes on both but I’d go with the latter option of shaping and freezing the unbaked cookies and then baking them fresh. If I use salted butter, is this sufficient or do I still need to add salt ? Hi Daniele, you won’t need to add any additional salt. The trouble though is that the salt content of salted butter varies from brand to brand and you may end up with cookies that are too salty. Using unsalted butter allows you to have full control over the salt content of the baked goods and I recommend sticking to that if at all possible. I have triple checked the ingredients and the directions but I have followed everything to the letter. Mine are way too dry and basically cutting the log caused half of the cookies to crumble apart and revert to crumbs. This is not the first time I have made vanilla kipferl, living in germany, but it is the first time i tried this recipe as ive never found a recipe with the exact right taste. I really don’t understand. I will try and make some adjustments and get the dough to stay together better. Im glad I came to the comment section! Your printable recipe doesn’t state “unsalted butter”, you may want to update that!